Huts and Paddocks in St James - Hanmer Springs Horse Riders Inc.Hanmer Springs Horse Riders Inc. Many of these huts are historic and therefore there are no hut fees payable. However, please refer to the Department of Conservation website to check (click on “Huts” for images and information). The current St James Homestead is a collection of historic buildings (stables, woolshed and cookshop which are gradually being restored. There is a locked DOC staff hut which can be used by arrangement (18 beds). Contact DOC Area Office in Rangiora for this. There is a public shelter (concrete block 2 room hut) which has no bunks or furniture, so you need to take your own camping gear. There are numerous small holding paddocks for horses as well as the cattle yards at which the triennial St James Horse Sale are held. Fowlers Hut is an historic rabbiters hut situated beside the Tophouse Road approximately half way between the St James Homestead and Lake Tennyson. You start from here to ride over Fowlers Pass. There is a large holding paddock with running water. There are no bunks, but there is a fireplace, a table and forms and a modern toilet outside. If you want a fire, take your own firewood. (It is very cold at night between April and December). There is ample off road vehicle and float parking. Scotties Camp historic musterers hut is an easy 3.5 hour ride up the Edwards Valley from the St James Homestead, situated just at the foot of the road up to Charlies Saddle. 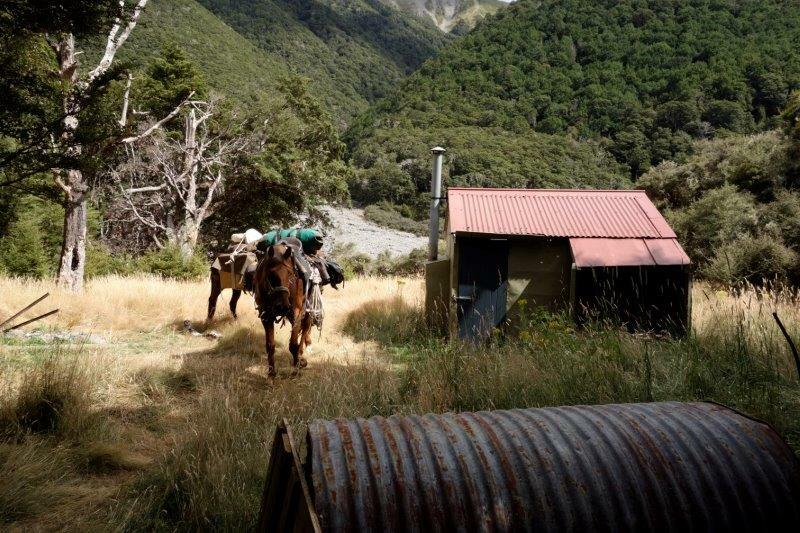 There is a holding paddock with a small seasonal spring at the rear, but the Edwards River flows beside the hut for access to water otherwise. It has 4 bunks, a table, an outside fireplace (but very little wood), a solar light and a modern toilet outside. It is maintained by the Christchurch 4WD Club. Take a cooker. 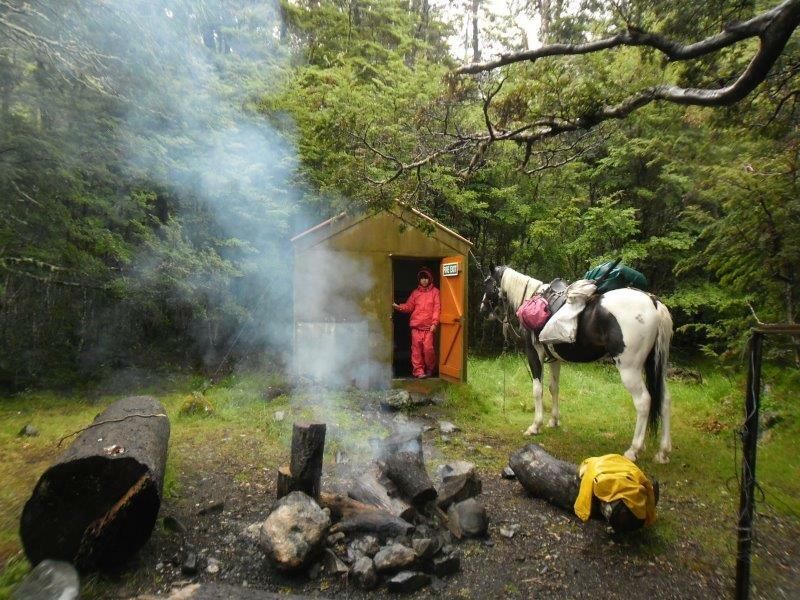 As there is vehicle access to this hut, it is often full on long weekends, but there is ample room to put up a tent. This historic rammed earth hut was once part of the Stanleyvale Run. It is a 3 hour ride over Fowlers Pass from Fowlers Hut in the Clarence. It has 7 bunks , a fireplace, tables and forms and a long drop toilet. There are 3 separate holding paddocks and water runs from a spring beside the hut. The hut is maintained by Hanmer Springs Horse Riders and this is “horse central” for the club. 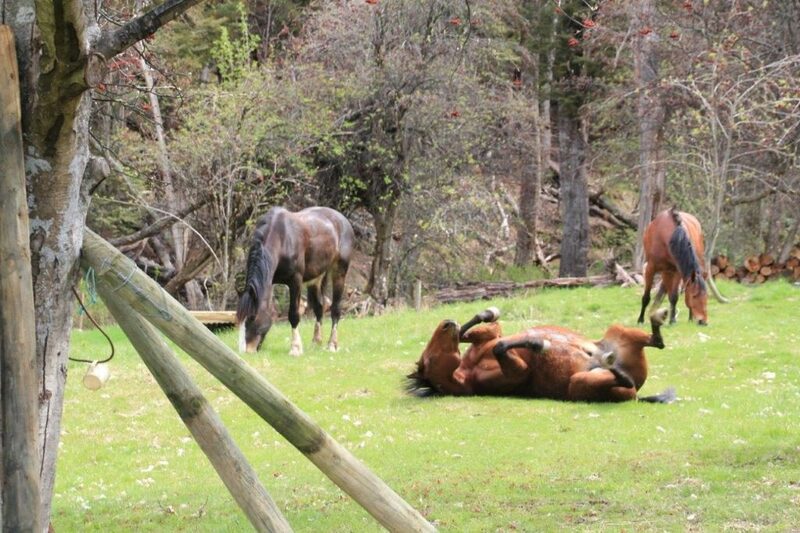 This is a great location to base yourself for a riding holiday in St James Conservation Area. This old NZ Forest Service hut is beside the idyllic Lake Guyon. 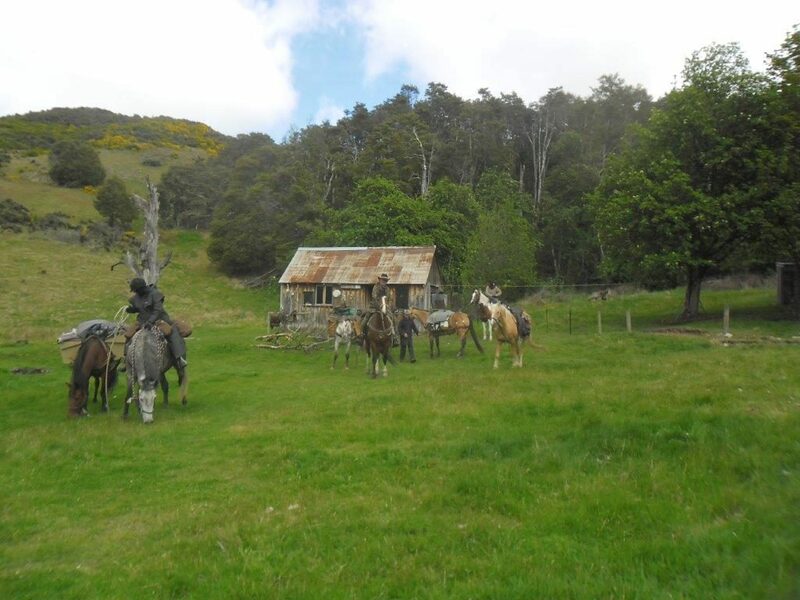 There is no holding paddock here because DOC prefer that horses base themselves 30 mins away at Stanleyvale Hut. However, you can tether horses or electric fence them on the grassy flats around the hut if you wish (preferably away from the vicinity of the hut). Sandflies are a little more prolific near to the lake though. It has 6 bunks, a wood burner and a long drop toilet. 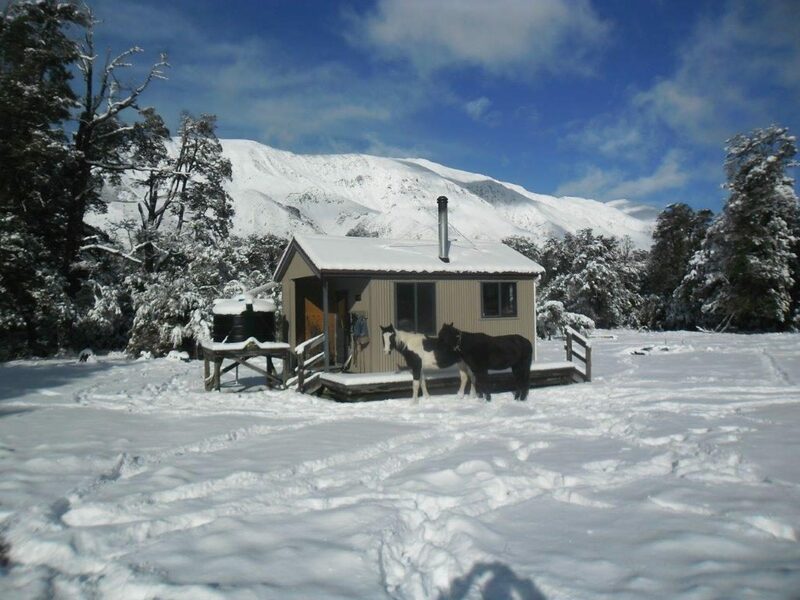 Poole Hut is a basic historic hut on the true right of the Waiau river near to the confluence with the Stanley River. It does not have a holding paddock but there are kanuka trees to tie to. There are 4 bunks and a bench but no fire. A spring is the water supply 20m northwest of the hut. Jervois Hut is a basic hut 2 hours up the Jones stream from the confluence with the Waiau River, 500m downstream from the McArthur cycleway bridge. 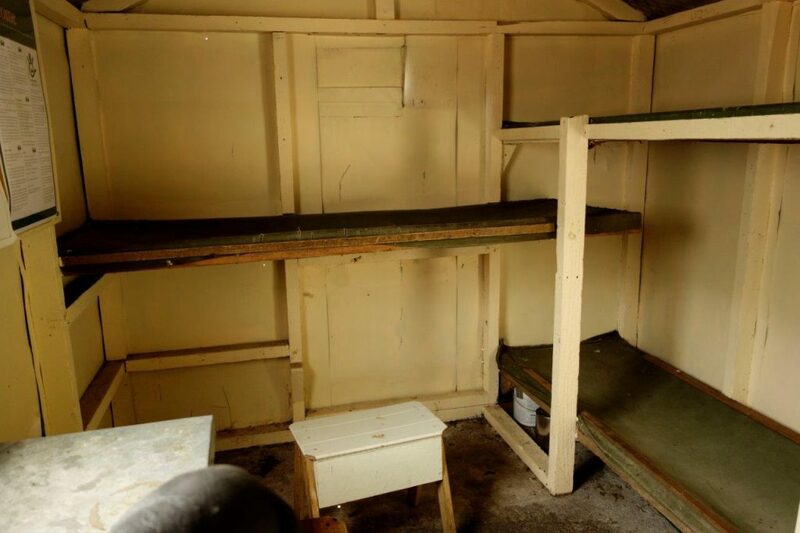 There is no toilet but a shovel is provided, an open fire and 3 canvas bunks. There is a holding paddock. Christopher Hut is 1 hour up the Ada River from the Ada homestead. It is part of the St James Walkway. There is a holding paddock, wood burner, running water, 20 bunks and firewood. It is a serviced hut. 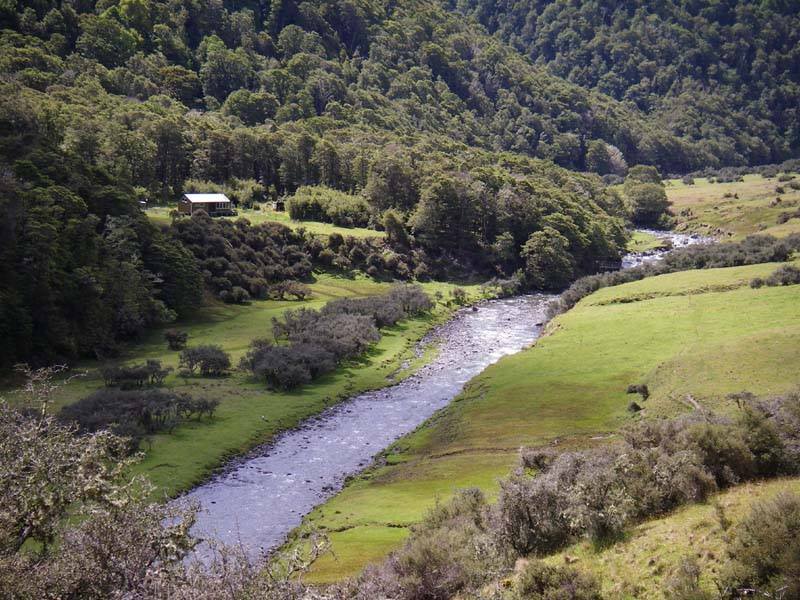 Anne Hut is situated 3 hours up the Henry River from the Waiau confluence near the Anne River. It is a large modern serviced hut and is part of the St James Walkway. Although there is no holding paddock at the Anne Hut, there is a good paddock 15 mins away at the old (burnt down) Anne Hut site beside the Anne River. We normally tent camp there to stay with the horses. 2.5 hours up the Waiau from the bottom of Maling Pass, this bivvy is on the Te Araroa track and is usually full. There is no paddock, but 30 mins downstream there is a good camping spot with ample tieing up places. Rokeby Hut is an historic hut between the Anne Saddle and Boyle Flat Hut. There is no toilet, 4 canvas bunks and no holding paddock. There are plenty of trees to tie up to. 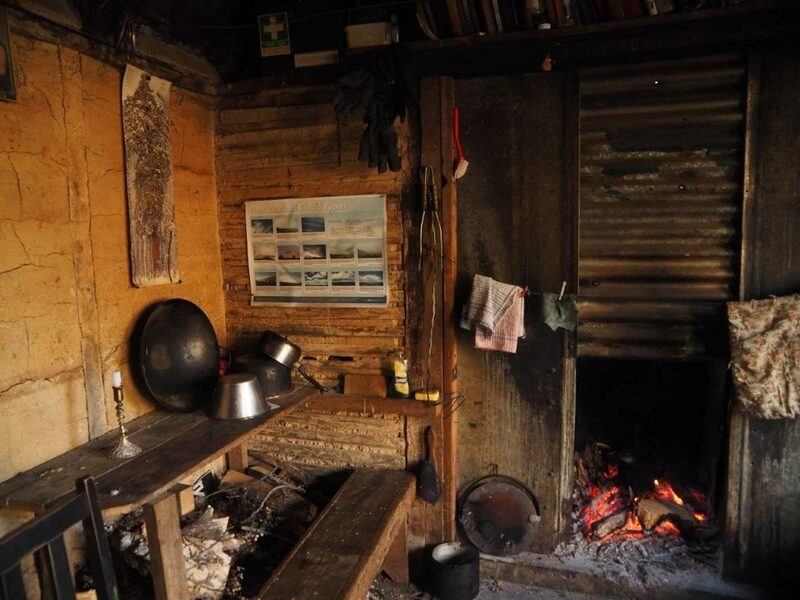 Magdalen Hut is a 6 bunk hut with a wood burner, a long drop toilet and a large holding paddock near the bottom of the Boyle Gorge. Steyning Hut is a DOC hut on Glenhope Station land. There are 6 bunks, a wood burner and long drop but no holding paddock. You need permission from Glenhope station to cross their land. We ride past Steyning as part of a 6 day loop trek. You need to contact Todd & Sandra Alfield (03 315 7697) or glenhopestation@gmail.com, or Glen Hope Station on Facebook.